Ok, so CNN actually didn’t report any of the above, but it’s not far off from the devastating picture the media is painting about the so-called sequester. (Yes, I actually watched about 15 minutes of CNN coverage the other day.) For a good tally of all of the ways the sky will fall, check out the ABC News piece: 57 Terrible Consequences of the Sequester. Is all of this Chicken Little reporting warranted? Let’s assume the sequester goes through as planned. First, it’s important to note that the federal government will still spend more in 2013 than it did in 2012 and increase spending in every subsequent year. The 0.4% increase in spending in 2013 is less than the 2.8% increase without the sequester which counts as a spending cut in Washington D.C. However, to be fair, the cuts are mostly in “discretionary” spending which does actually decrease by 5.6% from 2012 spending. This entry was posted in Economy, Politics and tagged budget, deficit, economy, paul krugman, sequester. Bookmark the permalink. 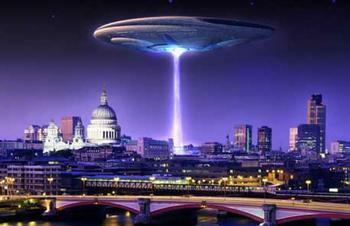 Great article….bring on the Aliens!!! The Federal Government/American Household comparison is great, as always.